GUANGZHOU, China, Feb. 28, 2017 /PRNewswire/ — China Import and Export Fair (Canton Fair), will open the 2017 spring exhibition on April 15 at China Import and Export Fair Complex, the largest modern exhibition center in Asia, gathering top names and professionals in international trades from over 200 countries and regions to discover business opportunities. 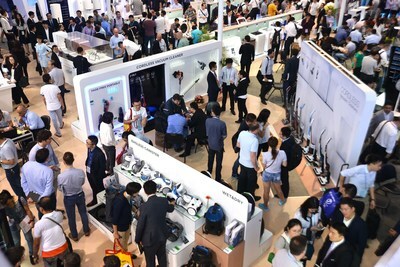 A key player in global trade, The 121st Canton Fair will be setting up 50 exhibition sections to host 16 major categories of commodities, offering a diverse product lineup for buyers, highlighting emerging industries, including intelligent and smart technology, new energy, pet supplies, outdoor spa facilities and more. In addition to the exhibitor groups from Germany, New Zealand, Australia, Japan and more, this year’s Fair also welcomes premium food and beverage exhibitor groups from Brazil and UK, creating a cross border purchasing experience for buyers. To further improve the guests’ overall experience, the 121st Canton Fair will set up the zone based on product’s sub-category and will launch a detailed and customized guides for buyers covering the 25,000 exhibiting companies in all zones.